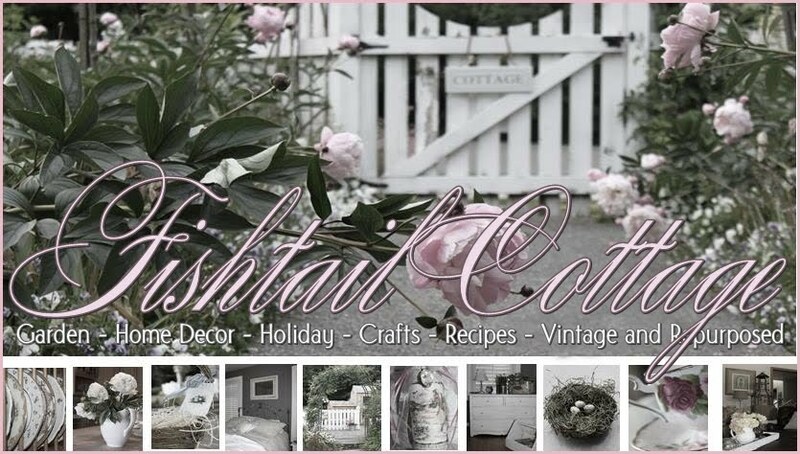 Fishtail Cottage: My friend Ashley… "
Many of you have followed Ashley’s story since I originally shared about her back in 2011. If you aren’t familiar with Ashley's story, please visit both of these links to read about her. Sadly, I must share with you ~ My dear and precious friend, Ashley, went to be with The Lord on March 15, 2013 at exactly 5:00am. She fought a courageous seven year battle with metastatic melanoma. She is finally at peace, no more nasty tumors, no more pain. It was a surreal experience to witness her last breaths along side her loving parents, Bob and Karen Trenner ~ I am truly blessed to have known Ashley Trenner for the past 30 years of my life. I am sharing her story so that no one else ever has to endure such pain – I truly believe her story will save lives. If you would be so inclined to post something on your Blog / Facebook and share with your readers – It would mean so to me personally that you share her legacy. I am bawling my eyes out. SO BEAUTIFUL, so young, this is justr tragic, I am so sorry. May you find comfort and peace with your Faith in God - may she be pain free and happy now. Rest in Peace, dear beautiful Ashley. I lost my best friend to breast cancer when she was only 41...with two young daughters.....she bravely fought for 7 years too. I think I know a little of your pain, and I surely hurt for you at this time. May Ashely's struggle not be in vain- spread the word for sure. Hugs, big sisterly loving hugs. I have such sorrow .....I have shared with my own daughter that is addicted to the sun! As well as tanning beds. She livesin LA and thinks she is ugly without a tan! I hope she can learn something! I am so very sorry for the loss of your dear friend!!! I had read about her story a few months back, and it just broke my heart! I think it is so important to get her story out so that more young women may be saved from this type of cancer!! My prayers go out to you and her dear family! Oh, Tracie. I am so sorry. It saddens me that we have lost such a cherished life on this earth. How beautiful the two of you are in the image you post today. How comforting for her parents to have you there by her side when she passed. I will go to your facebook page and spread the word. May your faith in God and your memories ease the pain at this time. Hopefully many will her of her story and change will be brought about. Thank you so much for sharing Ashley's story. I'm so terribly sorry for the loss of your beloved friend, and appreciate that she spent her remaining days trying to warn others so they could avoid getting the disease that took her - may lives be saved because of her. I went to MY facebook page and shared. I am so sorry to hear of Ashely's passing, how wonderful to share a bond with someone so special. Thanks for sharing her story as I will with others as well. So sorry for your loss. A sweet friend it looks like. My sweet aunt died many years ago from Melanoma, a nasty disease. My heart is so sad Tracie! I have shared her story on FB and updating with this news also. I too am sure her story will make a difference! How blessed you both were to have had this wonderful friendship! I did post on my Bernideen Canfield Facebook page - I am so sorry for your loss of such a dear friend. You are in my prayers. I am so sorry for your lost and I will be sure to share her story on facebook. Lean on God, he is there for you. I am so sad for your loss...but knowing that she is at peace with the Lord, is hopefully making it a bit easier for you and her family. I will be praying for you and her loved ones as you all make arrangements to lay her to rest and share your memories of her throughout her life here in this world. What a precious gift to have in life. To witness your dear friends suffering and to watch her cross over. Not many people can say that. I'm sure she is at peace now, but that doesn't mean that you and her family aren't. Thank you for sharing her story. We simply must find a cure. God Bless. Sincere sympathy on the loss of your friend Tracie. I'm so sorry for your loss, Tracie. Ashley had a great friend in you. Hugs from Canada. By the way - the two of you are BEAUTIFUL!!! I am so sorry to hear about your dear friend, Tracie. What a beautiful photo of the two of you. You were such a great friend to her and I'm sure you have wonderful memories to hold in your heart. Hugs to you! So sorry to hear this news about your dear friend and I watched the video you posted last week. Truly courageous of her to talk about it want to help others as she was dying from the diease. My heart goes out to you and her parents. I am so sorry. My condolences to you. I can not even imagine what a large hole in your heart there will be with the loss of such a close and long time friend. Tracie...I am just so so sorry for your loss. I can never find the words for when we lose someone so young and full of life. It was so good of you to share Ashley's story with us...I do believe both of you had to have had an effect on readers on the dangers of not using sun protection. Please know I am thinking of you during this very difficult time. Take peace in knowing that your sweet friend is no longer suffering. Sending you a big hug and a shoulder. God bless you!! I'm so sorry for your loss and will be praying for you and all of Ashley's loved ones. May she rest in peace - free of pain and safe in the arms of the Creator. I have shared about her story on Facebook. I am so sorry for your loss, as well as her family's. I am glad that you could be with her when she went to be with the Lord. My father in law found out he had melanoma 3 months after he retired and battled it for the next year and a half, before he passed. My father died of melanoma after a brave three year battle. It started on his skin on his side and moved to his brain. I have never been a sun worshipper, and hope dear Ashley's story will change help people see the dangers of tanning. Oh Tracie! My heart goes out to you and to her family and loved ones. So sad. May your memories keep her with you always. So sorry... shared on my facebook- Thinking of you. I am so sorry for your lose and I pray for you and her family. I feel really bad and sad. I am so sorry for your loss. Hugs! I am so sorry... My Prayers are with you & her family.... Thank you for sharing her story, people need to wake up & realize the danger. I am so sorry about your loss, reading your words and Ashley's story has brought me to tears as I lost my mother last August to cancer and like you I was there for her last breath, a special but terribly sad moment that I will never forget. I pray that people read your story and understand the dangers of sun beds. I live in New Zealand and our sun alone is a killer here with many melanoma deaths. My mother had metastatic breast to bone cancer, sadly she never had a mammogram. 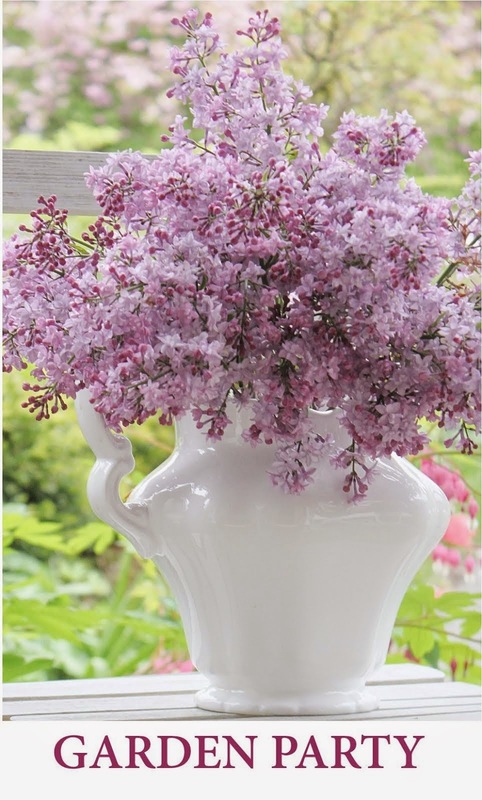 I would like to encourage women to have mammograms regularly because if my mother had one she would still be here today weeding her garden and sharing her love and laughter with her friends. Thank you for sharing I pray for comfort for you and Ashleys family, it will hurt for a long time but she is no longer suffering or in pain but that doesn't compensate us, I would have my mum back in a flash and care for her all over again if I could but that would be selfish of me. Oh I am so very sorry to hear this Tracie:( My thoughts and prayers go out to you and her family. She left behind a very valuable lesson for us all, while Heaven has gained a beautiful angel! I used tannong beds for 2 years & when the place closed didn't even bother with regular sunbathing as I don't have the patience. I don't have a blog to put I posted it on Facebook. My sympathies for your loss. I am so sorry for the loss of your friend. Thank you for letting me know...you have blessed me in the fact that you have now allowed me to pray for peace and comfort for her family and friends. My prayers for you to find closure and comfort in losing your good friend. So, so sad......prayers for her family and for you. I am sharing her story on FB. Tracie, I'm so sorry to hear of Ashley's passing. Being at peace and no longer in pain is what helps us get through dealing with our loss. You sure were a great friend to Ashley and I pray for you and her family as Ashley is layed to rest. Blessing to you all. So sad to hear of Ashleys passing. Her spirit will live on, in great friends like you. I'm so sorry to hear this, Tracie. I just said a prayer for you all. So very sorry for the loss of Ashley. I am praying for you and her family. I am so sorry to hear of your beloved friends passing. Prayers to you and for her family. I am so sorry for your loss! I obviously never knew her, but just reading of her passing brings tears to my eyes. I'm so sorry to hear you lost your beloved friend Ashely. Melanoma is a terrible disease. I hope her story will help to save some other lives. I will keep you and Ashely's family in my prayers. I am so very sorry to hear of your loss. I understand why your friend started going to the tanning booth. I am 43 and grew up in Oregon. I have red hair and super white skin. I was ridiculed and teased constantly as a teen about my white, white skin. The peer pressure to be tan was a constant. I did some foolish things, but ended up having to accept my whiteness. If I could have tanned though, I know I would be right there in the bed next to your friend. My heart goes out to her family and friends. I will post her story on my blog: redstarroost@blogspot.com. Her story needs to be told.